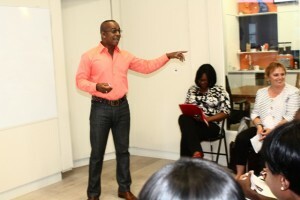 Motivational Speaker and Nationally published journalist hosts workshop to help women manage personal finance. TORONTO, ON (Aug. 4, 2012)—This workshop was created to tackle the lack of financial literacy amongst young men and women within the community. The objective was to help 40 young adults enhance their lives by empowering them to make smart financial moves so that they can live up to their highest potential. Pauleanna was joined by financial expert, Ken Thomas, who educated attendees on how to plan for their future and to consider options like life and health insurance, RRSP’s and a will.